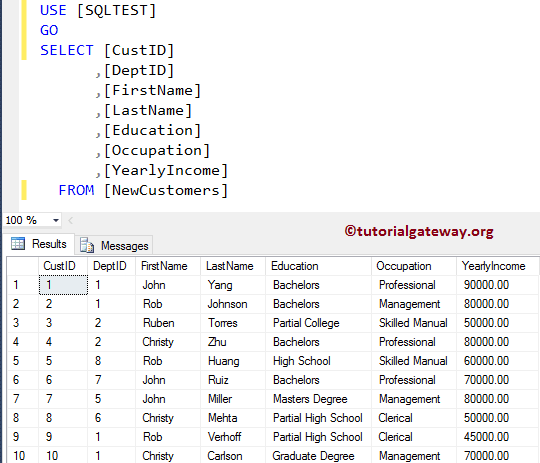 Data present in the NewCustomer table inside our SQL TEST database. 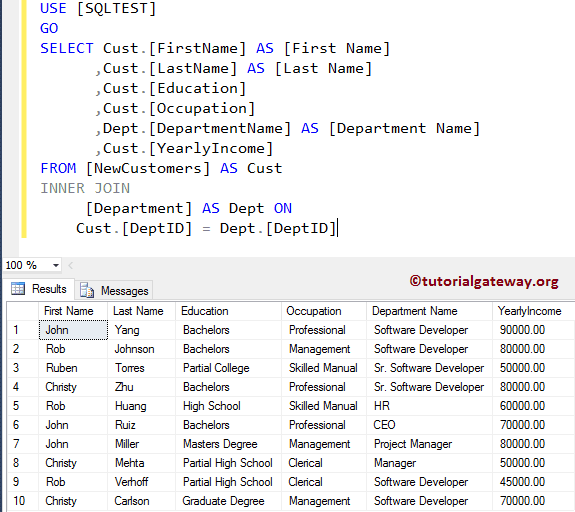 SQL INNER JOIN: It returns the records (or rows) present in both tables, If there is at least one match between columns. 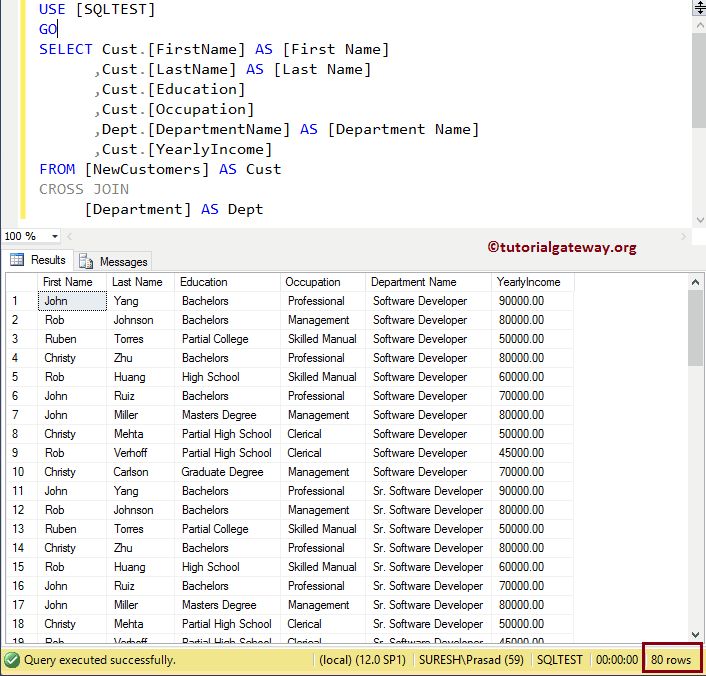 SQL CROSS JOIN: It returns the Cartesian product of both the tables. Cartesian product means Number of Rows present in Table 1 Multiplied by Number of Rows present in Table 2. 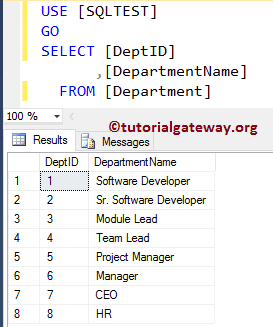 The following SQL CROSS JOIN Query will display the Cartesian product of the columns present in Employees and Department tables.